If there is a candidate who represents the modern day Democratic Party, that would be Elizabeth Warren. The blonde hair, blue eyes Swedish looking 1/32nd part Cherokee Indian neo-socialist and Senatorial candidate for the seat once referred to as the Ted Kennedy seat. Running against Scott Brown, Ms. Warren has demonstrated to the extent the Democratic Party has evolved from a serious Party defending liberal ideals to a Party where poseurs masquerade as intellectuals while talking in childlike fashion. When Warren goes in front of audiences, declaring that Corporation aren’t people for they have no heart, they don’t bleed, reproduce or something like that, she takes on the appearance of elementary school teacher speaking to little children. When Mitt Romney declared that corporations were persons in a legal sense, he was making a point that Corporations are organizations in which individuals put together on a volunteer basis for a specific purpose, whether it is to produce automobiles or a charity formed to defend individual rights. Corporations are a legal vehicle for individuals to organize and Romney's point is not that corporations are living human beings in a flesh and blood way, but they are organizations of human beings with rights associated with volunteer organizations. The key element of Warren's argument is that government is king and Corporations are formed with the approval of government and subject to the whim of government. The famous Obama “You didn’t build it” speech was influenced by Warren's own words stated a few months earlier, but Scholar Tom Sowell destroyed her argument when he wrote, “People who run businesses are benefiting from things paid for by others? Since when are people in business or high-income earners in general, exempt from paying taxes like everyone else. At a time when a small fraction of high income taxpayers pay the vast majority of all taxes collected, it is sheer chutzpah to depict high-income earners as somehow subsidized by the rest of us paying for the building of roads or educating of the young." The worst aspect of Warren’s candidacy is the promotion of Americans as competing voting blocs and groups as Ms. Warren took advantage of her alleged Indian background to gain entrance to Harvard. There was question of her academic qualifications but the blonde hair, blue eyed Warren used her Native heritage to gain entrance as an Affirmative Action hire. I won’t argue whether Warren truly was qualified to be at Harvard, but there was no doubt that she used being a Native American as her ticket to Ivy League appointment and advanced her career. And there is serious doubt that she is truly part 1/32nd Cherokee Indian. Warren theory begins with the premise, there are separate Americans hyphenated and belonging to distinct groups. There are no individuals or individuals’ rights in Warren’s America, but Warren's America begins with the premise Government provides rights and weaker groups must be protected at the expense of stronger groups. 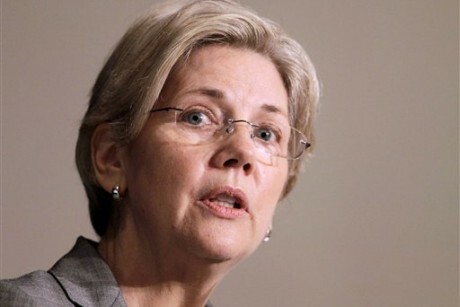 In Warren's America, wealth is not earned but either allowed by government benevolence or simply stolen. In Warren' America, our economy is zero sum in which government must distribute wealth created and wealth can’t be expanded except for the expansion of government. She truly does not understand how market economy works, but she is not alone in that, for President Obama is just as confused. Her career represents her vision for as a victim for she sought government redress to move up the economic ladder. There was a question on whether Warren truly earned her Harvard position, but it didn’t matter for she deserved it as a member of a persecuted minority. This makes Warren's candidacy intriguing for if there was a state that these ideas can sell, it is Massachusetts, and on November 6th, we will see if her childlike view of America does sell.